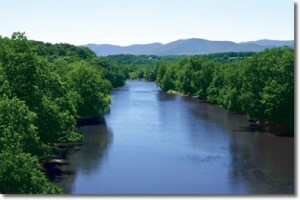 with some lovely photos of Virginia’s Blue Ridge Mountains, and historical photos too. One interpretation of the lyrics says a trader fell in love with an Indian maiden and wanted to take her with him to the far west “across the wide Missouri”. Shenandoah U’s musical roots run deep. Two of its earliest alumni, James and William Ruebush, were talented musicians who returned to their alma mater as faculty in the late 1800s. James Ruebush actually became its fifth president 1910-1922. The school was founded in Dayton, VA as Shenandoah Seminary in 1875 by Doctors Fries and Funkhouser. It became “Shenandoah College” in 1924, and the Conservatory became a separate corporation in 1937 and began granting four-year degrees. In 1960, college and conservatory merged and they moved the whole shebang to the Winchester campus where it has thrived. Today, student body and faculty represents 43 states and 73 countries! 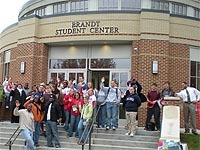 NEXUS will be appearing in the Brandt Student Center which is the centrepiece for university life at Shenandoah. Winchester enjoys the best of all worlds. Only an hour and half from Washington DC’s urban attractions, it is also close to the magnificent Shenandoah National Park with its Skyline Drive of spectacular look-offs, and 500 miles of trails and waterfalls. The conservatory’s motto is If You Can Dream It, You Can Do It. It has a faculty of more than 100 professionals in music, theatre and dance and is known for an unusually low student-to-faculty ratio (12:1), and its top-tier facilities including a state-of-the-art Apple Learning and Creativity Lab, recording studios, Music Education Resource center and voice science, music therapy and digital piano labs. Shenandoah emphasizes the importance of performance with 32 performing ensembles and more than 300 events on campus each year. This is going to be a stimulating environment for NEXUS, and they are looking forward to being a part of it!